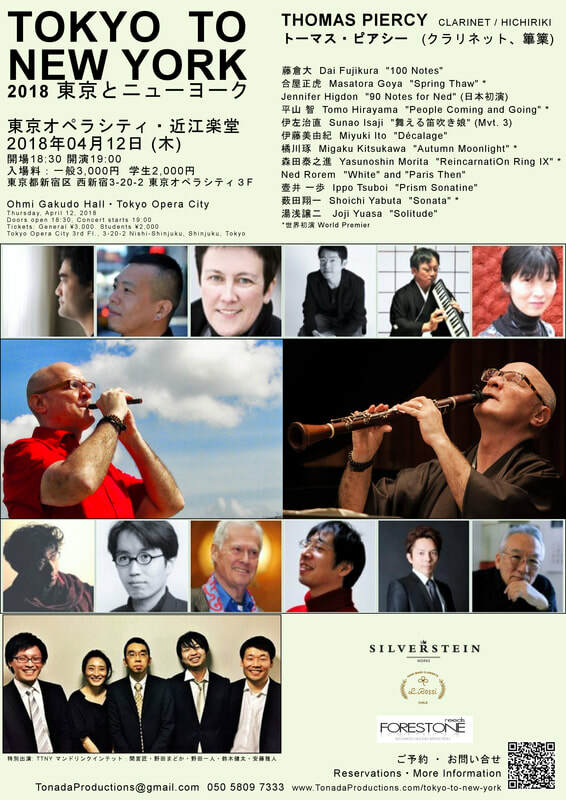 Top L-R: 藤倉大 Dai Fujikura, 合屋正虎 Masatora Goya, Jennifer Higdon, 平山 智 Tomo Hiroyama, 伊左治直 Sunao Isaji, 伊藤美由紀 Miyuki Ito. Fill out and Submit Form or e-mail / call. “Rubi(co)n / 100 Notes” was composed in 2006 for clarinet or bass clarinet. Trained as a vocal performer first, Masatora explores the musical landscape of drama, space, and emotion. 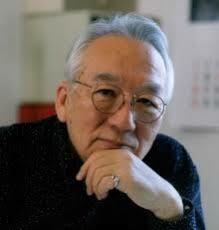 Described as a "composer of cultural crossroads" by American Composers Forum, his unique eclecticism has attracted many musicians performing in nontraditional chamber ensembles, such as Alturas Duo, Duo Anova, Bateira Trio, Cross Island, Liberté Mandolin Orchestra, Duo Yumeno, Tomoko Sugawara, Lucina Yue, Hidejiro Honjoh, and Thomas Piercy. Masatora also frequently collaborates with visual artists and film makers, such as Yuki Ideguchi, Sam Platizky, Andre Lewis, Nori Mizukami, Chloe Miller, and Takashi Nasu. 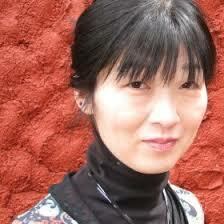 Masatora received a BA in Integrated Human Studies from Kyoto University and studied music at Koyo Conservatory. Since relocating to the United States, he earned a Master of Music from New Jersey City University and a Doctor of Musical Arts from Five Towns College, and studied in the BMI-Lehman Engel Musical Theatre Workshop. 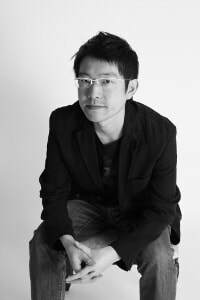 Masatora is PARMA artist and assistant director of Vox Novus Composer's Voice, as well as a resident composer of Kadoma Film Commission. He is a recipient of ASCAP Plus Awards, Jerome Fund for New Music, and Diversity Doctoral Fellowship at SUNY Purchase College. “90 Notes for Ned” was composed for Thomas Piercy. It was premiered in the original clarinet/piano version in NYC by Mr. Piercy in 2003 as part of Ned Rorem’s 90th birthday concert at Bargemusic. The piece honored Mr. Rorem as one the composer’s teachers and inspirations. Pulitzer Prize and two-time Grammy-winner Jennifer Higdon (b. Brooklyn, NY, December 31, 1962) taught herself to play flute at the age of 15 and began formal musical studies at 18, with an even later start in composition at the age of 21. Despite these obstacles, Jennifer has become a major figure in contemporary Classical music. Her works represent a wide range of genres, from orchestral to chamber, to wind ensemble, as well as vocal, choral and opera. Her music has been hailed by Fanfare Magazine as having "the distinction of being at once complex, sophisticated but readily accessible emotionally", with the Times of London citing it as "…traditionally rooted, yet imbued with integrity and freshness." The League of American Orchestras reports that she is one of America's most frequently performed composers. Higdon's list of commissioners is extensive and includes The Philadelphia Orchestra, The Chicago Symphony, The Atlanta Symphony, The Cleveland Orchestra, The Minnesota Orchestra, The Pittsburgh Symphony, the St. Paul Chamber Orchestra, as well such groups as the Tokyo String Quartet, the Lark Quartet, Eighth Blackbird, and the President’s Own Marine Band. She has also written works for such artists as baritone Thomas Hampson, pianists Yuja Wang and Gary Graffman, violinists Nadja Salerno-Sonnenberg, Jennifer Koh and Hilary Hahn. Her first opera, Cold Mountain, won the prestigious International Opera Award for Best World Premiere in 2016; the first American opera to do so in the award’s history. Performances of Cold Mountain sold out its premiere run in Santa Fe, North Carolina, and Philadelphia (becoming the third highest selling opera in Opera Philadelphia’s history). The 2017-18 concert season has included the successful premiere of Higdon’s Low Brass Concerto with the Chicago Symphony and Philadelphia Orchestra, her Tuba Concerto with the Pittsburgh Symphony and Royal Scottish National Orchestra, and her Harp Concerto for Yolanda Kondonassis with the Rochester Philharmonic and Harrisburg Symphony. Upcoming commissions include a chamber opera for Opera Philadelphia, a string quartet for the Apollo Chamber Players, a double percussion concerto for the Houston Symphony, an orchestral suite for the Made In America project, and a flute concerto for the National Flute Associations’ 5oth anniversary. Higdon received the 2010 Pulitzer Prize in Music for her Violin Concerto, with the committee citing the work as "a deeply engaging piece that combines flowing lyricism with dazzling virtuosity." She has also received awards from the Guggenheim Foundation, the American Academy of Arts & Letters, the Koussevitzky Foundation, the Pew Fellowship in the Arts, The Independence Foundation, the NEA, and ASCAP. As winner of the Van Cliburn Piano Competition’s American Composers Invitational, Higdon’s Secret & Glass Gardens was performed by the semi-finalists during the competition. Higdon has been a featured composer at many festivals including Aspen, Tanglewood, Vail, Norfolk, Grand Teton, and Cabrillo. She has served as Composer-in-Residence with several orchestras, including the Pittsburgh Symphony Orchestra, the Philadelphia Orchestra, and the Fort Worth Symphony. She was honored to serve as the Creative Director of the Boundless Series for the Cincinnati Symphony’s 2012-13 season. During the 2016-17 and 2017-18 academic years Higdon has served as the prestigious Barr Laureate Scholar at the University of Missouri Kansas City. In 2018, Higdon will be in residence at University of Texas, Austin, as part of the Eddie Medora King Award. Higdon enjoys more than 200 performances a year of her works. Her orchestral work, blue cathedral, is one of the most performed contemporary orchestral works in the repertoire, more than 600 performances since its premiere in 2000. Her works have been recorded on over 60 CDs. Higdon has twice won the Grammy for Best Contemporary Classical Composition: first for her Percussion Concerto in 2010 and in 2018 for herViola Concerto. Dr. Higdon received a Bachelor’s Degree in Music from Bowling Green State University, an Artist Diploma from The Curtis Institute of Music, and an M.A. and Ph.D. from the University of Pennsylvania. She has been awarded honorary doctorates from the Hartt School and Bowling Green State University. “White” is one movement of the four-movement clarinet/piano work, “Four Colors.” “Four Colors” was composed for Thomas Piercy. It was premiered by Thomas Piercy in 1993 at Ned Rorem’s 80th birthday concert at Carnegie Hall’s Weill Hall. “Paris Then” is one movement of the quintet “Winter Pages” composed in 1981. From the composer: Paris then is a waltz for clarinet and piano. During the first cold weeks of 1981 I began writing the quintet in New York, completing it in Nantucket in late May. The suite of twelve pieces is a diary of the season, each entry leading to the next, reworking the same concerns which nevertheless shift their mood according to the weather. The whole represents a plateau from where, as the future grows narrower, the past seems more widely open to reinterpretation. Today I dwell autumnally —winterishly, even—upon my teen years in Chicago, where I wrote my first songs on American poetry, and upon my twenties in France where I continued to write songs on American poetry This “dwelling” forms the core of Winter Pages. My nonvocal works are songs without texts. Indeed, so firmly do I rely on the poor singer within me longing to get out that the music feels almost like verse without words. Yet, since nonvocal music can never contain a uniformly identifiable program (music is not literature), I often, like many another “impressionist,” take pains to suggest images through titles. A musical rose by any other name smells differently. A Mirror is so named because the material backtracks at midpoint and rewinds itself in reverse. This very short curtain raiser plants the seeds for most of the succeeding sections. Whittier's Snowbound provides the canvas for the second movement on which the solo bassoon paints the scene: “The sun that brief December day/Rose cheerless over hills of gray, /And, darkly circled, gave at noon/A sadder light than waning moon.”. Words and music are inextricably linked for Ned Rorem. Time magazine has called him "the world's best composer of art songs," yet his musical and literary ventures extend far beyond this specialized field. Winner of the Pulitzer Prize and a Grammy, Rorem has composed three symphonies, four piano concertos, and an array of other orchestral works; music for numerous combinations of chamber forces; ten operas; choral works of every description; ballets and other music for the theater; and literally hundreds of songs and cycles. He is the author of sixteen books, including five volumes of diaries and collections of lectures and criticism. At age seventeen, Rorem entered the Music School of Northwestern University, and two years later receiving a scholarship to the Curtis Institute in Philadelphia. He studied composition under Bernard Wagenaar at Juilliard, where he earned both his Bachelor’s and Master’s degrees. Ned Rorem has been the recipient of a Fulbright Fellowship (1951), a Guggenheim Fellowship (1957), and an award from the National Institute of Arts and Letters (1968). In January 2000 he was elected President of the American Academy of Arts and Letters. He received the ASCAP-Deems Taylor Award in 1971 for his book Critical Affairs, A Composer's Journal, in 1975 for The Final Diary, and in 1992 for an article on American opera in Opera News. His suite Air Music won the 1976 Pulitzer Prize in music. The Atlanta Symphony recording of the String Symphony, Sunday Morning, and Eagles received a Grammy Award for Outstanding Orchestral Recording in 1989. In 1998 he was chosen Composer of the Year by Musical America. Among his many commissions for new works are those from the Ford Foundation (for Poems of Love and the Rain, 1962), the Lincoln Center Foundation (for Sun, 1965); the Koussevitzky Foundation (for Letters from Paris, 1966); the Atlanta Symphony (for the String Symphony, 1985); the Chicago Symphony (for Goodbye My Fancy, 1990); and from Carnegie Hall (for Spring Music, 1991). Rorem's most recent opera, Our Town, which he completed with librettist J.D. McClatchy, is a setting of the acclaimed Thorton Wilder play of the same name. It premiered at the Indiana University Jacob's School of Music in February 2006. Among the distinguished conductors who have performed his music are Bernstein, Masur, Mehta, Mitropoulos, Ormandy, Previn, Reiner, Slatkin, Steinberg, and Stokowski. 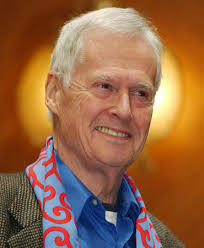 Ned Rorem is published by Boosey & Hawkes. 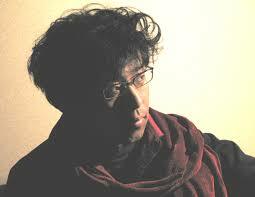 Ippo Tsuboi was born in Japan, in 1975. He studied composition with Yoshito ABE, Reiko ARIMA, Sei IKENO and Yutaka FUJIWARA, and graduated from Tokyo College of Music. His music was introduced in Norway at Yasutaka HEMMI and Aki TAKAHASHI Duo recital at the Ultima Oslo Contemporary Music Festival. 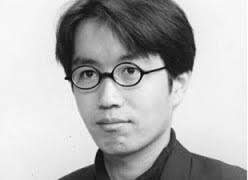 His piece “The Star Thrower” was placed 4th in Toru Takemitsu Composition Award 2003 (judged by George BENJAMIN) and this piece was also nominated for the 14th Akutagawa Award for Music Composition. 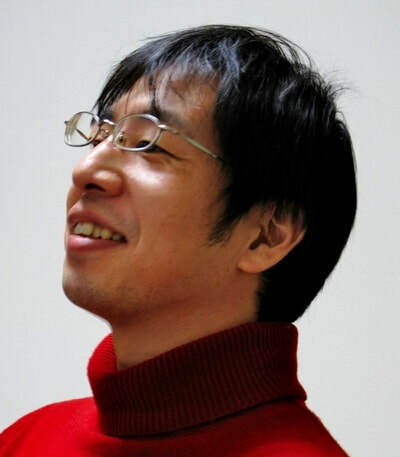 He was also awarded with other prestigious prizes: nomination for 6th Sogaku Song Composition Competition (1995); selected for an imposed piece of the 26th PTNA Piano competition (2003); awarded for the Japan Guitar Music Composition Competition (2006); 1st place at the 2nd Osaka International Competition of Mandolin (Ensemble section, 2006); 1st place at the 20th Sogaku Song Composition Competition (2009); and in 2010, he was awarded the 2nd “Yamakyo 21” Composition Prize. “Solitude” for solo clarinet was composed in 1980. 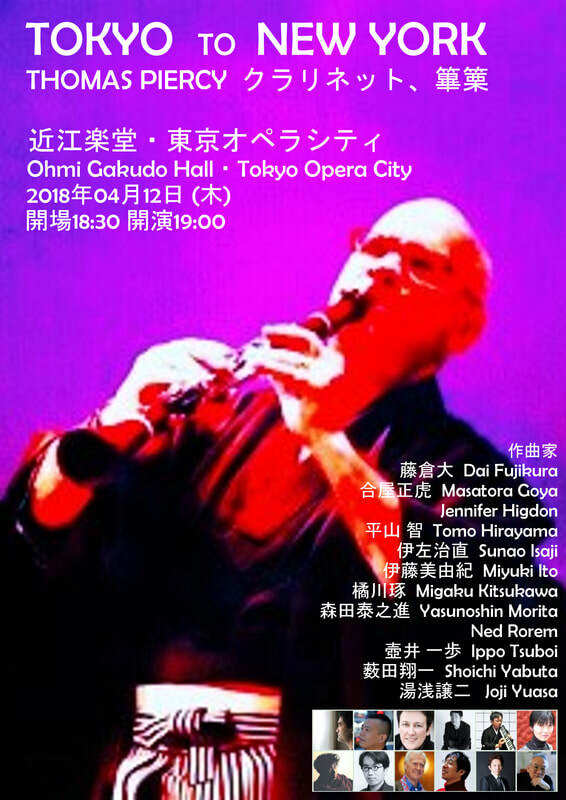 This work was written as a memorial for Yoshiro Irino, one of the pioneering composers of Japanese contemporary music. It was premiered in Tokyo by T. Morita in May 1980. The piece employs various extended techniques for clarinet, including multiphonics, double flageolet tones, and double thrills. The motif in the beginning section is based on the twelve-tone series, in reference to Mr. Irino, who first introduced the twelve-tone technique to post-war Japan and used it thereafter in his own work. A series of double flageolet tones that appear in the middle section signify, for the composer, a “chorale” for the dead. A versatile artist defying categorization – performing on the Emmy Award-winning Juno Baby CDs and DVDs; playing Rhapsody in Blue with pianist Earl Wild; performing concert improvisations with pianist Donal Fox; performing Mozart with mezzo-soprano Frederica von Stade; playing Broadway songs with Raoul Julia; conducting Cabaret or Rodgers & Hammerstein; working with the composer Leonard Bernstein; appearing in a KRS-ONE music video; playing hichiriki in Japan and the U.S.; recording with members of Maroon 5 - as an instrumentalist, singer, director and music director/conductor and actor, he has performed for Broadway and Off-Broadway, television, radio, video and commercial recordings. Piercy performs and records on rare rosewood English-bore clarinets made for him by Luis Rossi of Santiago, Chile, and Buffet Prestige clarinets with Opperman mouthpieces and barrels. 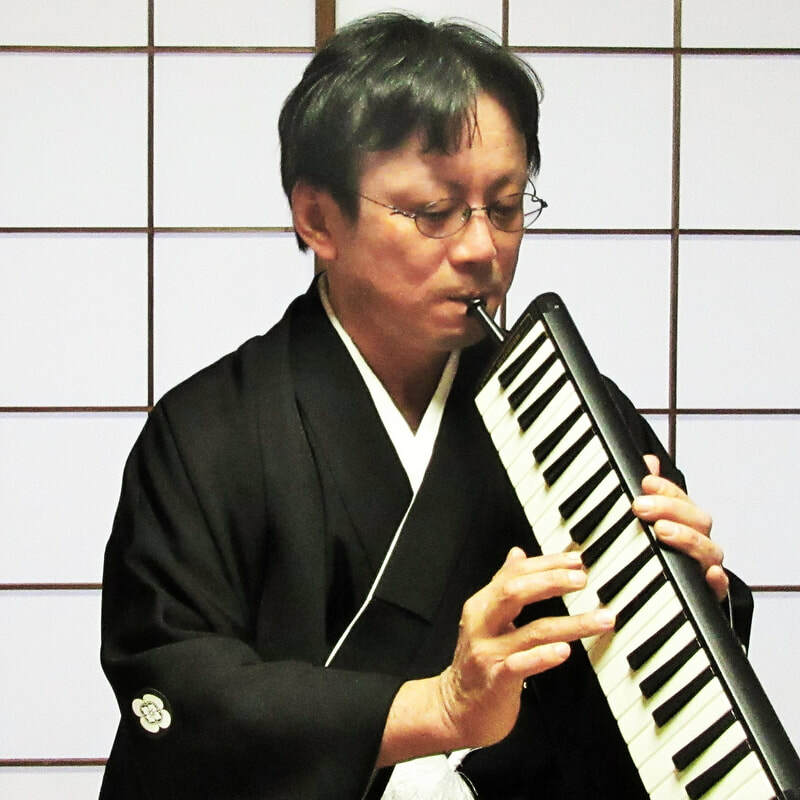 His sound has been described by critics as "uniquely beautiful and consistently warm." Mr. Piercy has performed at many of the worlds acclaimed concerts halls including Carnegie Hall (NY, NY), Lincoln Center (NY, NY), the Kennedy Center (Washington, DC. ), the Dame Myra Hess Memorial Concert Series (Chicago, Illinois), Centre Pompidou (Paris, France), Wigmore Hall (London, England), Accademia di Santa Cecilia (Rome, Italy) and Parthenon (Tokyo, Japan). Piercy's many festival appearances have included a featured performance in memory of Leon Russianoff at the 1991 International ClarinetFest, a concert of contemporary American music at the 2005 ClarinetFest in Tokyo, Japan, and an all-Piazzolla concert at the 2007 International Clarinet Festival in Vancouver, Canada. He has performed in concerts and festivals in England, France, Germany, the Netherlands, Italy, Belgium, Switzerland, the Czech Republic, Sweden, Denmark, The United States, Canada, Mexico and Japan. Mr. Piercy has received grants for recordings, commissions, and performances from the Cary Trust (1999-2010), the Scandinavian Foundation, the International Clarinet Association, New York State Council on the Arts (1999-2014), and the New York City Department of Cultural Affairs (1999-2014). Piercy's earliest studies were in both voice and clarinet. 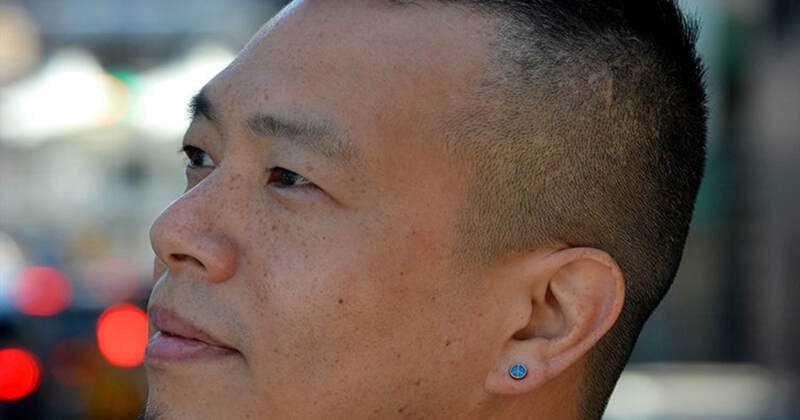 A recipient of numerous scholarships, prizes and awards, he studied clarinet, voice and conducting at the Juilliard School, Mannes College of Music, Virginia Commonwealth University and Shenandoah Conservatory. Piercy's earliest studies were in both voice and clarinet. He began his college education studying clarinet under Dr. Stephen Johnston at Shenandoah Conservatory and Gailyn Parks at Virginia Commonwealth University. He later moved to New York City to study with Gervase De Peyer under scholarship at Mannes College of Music; he continued to study extensively with De Peyer after leaving Mannes. Piercy later studied with and soon became an assistant to the renowned clarinet pedagogue Leon Russianoff; additional clarinet studies and reed-making studies were undertaken with clarinetist, reed, barrel and mouthpiece maker, and composer Kalmen Opperman. He has had arrangements and transcriptions published by Boosey & Hawkes, and as an assistant to Kalmen Opperman, he has contributed to clarinet study books and clarinet compositions published by Carl Fischer, Inc., and Baron Publishing. In demand as a clarinet, sax and voice teacher, many of Piercy's students have gone on to schools and careers in music. Piercy is currently the Artistic Director and clarinetist of the Gotham Ensemble. A mixed vocal and instrumental ensemble based in New York City, the Gotham Ensemble premieres, performs and records a wide variety of repertoire, from the Classical to the avant-garde. A New York Times review of Gotham's Merkin Hall, New York City, performance of a program of Olav Thommessen's music specifically encouraged the public to go out and purchase the recordings. After a performance of Ned Rorem's "Ariel" at Weill Recital Hall at Carnegie Hall, Mr. Rorem wrote of Gotham as one of America's important chamber music groups performing new music today. Albany Records released “Gotham Ensemble Plays Ned Rorem” - a CD of Ned Rorem's chamber music featuring the clarinet. A frequent performer of new music, Mr. Piercy has premiered over 50 new pieces in the last three years. Ned Rorem, a Pulitzer Prize winner and Grammy Award-winning composer, wrote his only clarinet and piano piece, "Four Colors," for Mr. Piercy. The work had its premier at an 80th birthday concert celebration for Mr. Rorem at Carnegie Hall in the fall of 2003. A short list of the composers he has worked with and premiered their works (many of them written for him) include Milton Babbit, Allan Blank, Ed Bland, Philippe Bodin, Wendy Mae Chambers, Elisenda Fabrégas, David Fetherolf, Donal Fox, Daron Hagen, Gilbert Galindo, Nicolas Gilbert, Masatora Goya, Jennifer Higdon, Silas Huff, Benjamin Lees, Yuichi Matsumoto, Jun Nagao, Takeshi Ogawa, Sergey Oskolkov, Joseph Perhson, Jonathan Pieslak, André Ristic, Robert Xavier Rodriguez, Erin Rogers, Manly Romero, Ned Rorem, Marjorie Rusche, Allen Schulz, Hifumi Shimoyama, Olav Anton Thommessen, and many others. Piercy's discography includes "Gotham Ensemble Plays Ned Rorem", a CD of chamber music featuring the clarinet (released by Albany Records), "CAFE", a CD of music for clarinet and guitar (released by Tonada Records), the world-premier recording of Sir Richard Rodney Bennett's "Ballad in Memory of Shirley Horn" and the Emmy Award winning CDs and DVDs "Juno Baby." 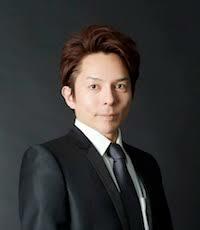 He can also be heard on commercials, film and theater recordings. 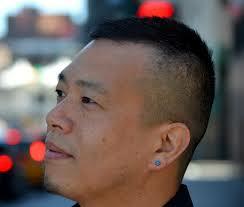 He has recorded for the Albany, Capstone, DGI, Changing Tones, NJST, and Tonada Records labels. Thomas Piercy is an official Rossi Clarinet, Forestone Reeds and Silverstein ligatures artist.